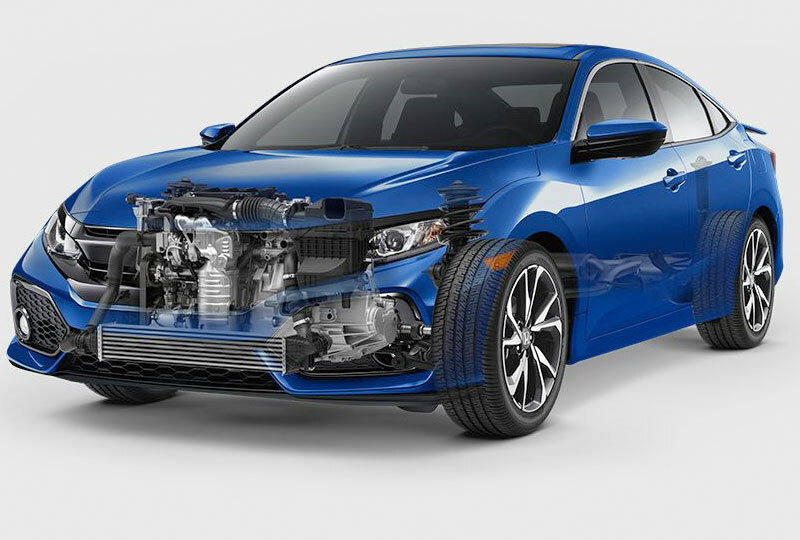 The 2018 Honda Civic Sedan from Joyce Koons Honda in Manassas, VA, serving Fairfax, Chantilly, and Sterling, is the ultimate everyday vehicle. The athletic exterior design features contoured sides and an elegant sloping roofline. Standard projector-beam headlights send far-reaching light out into the darkness to help you see at night. A 2.0L In-line 4-cylinder engine provides 158 horsepower, and you can pick between a 6-speed manual or continuously variable transmission. Today is a great day to buy a new Honda! Call us today at 866-771-5815 to schedule your test drive with Joyce Koons Honda, or visit our showroom at 10640 Automotive Drive, Manassas, VA 20109. We can't wait to see you drive home in the 2018 Honda Civic Sedan you've always wanted! 1 FCW cannot detect all objects ahead and may not detect a given object; accuracy will vary based on weather, speed, and other factors. System operation affected by extreme interior heat. FCW does not include a braking function. The driver remains responsible for safely operating the vehicle and avoiding collisions. 2 LDW only alerts drivers when lane drift is detected without a turn signal in use. LDW may not detect all lane markings or lane departures; accuracy will vary based on weather, speed and road condition. System operation affected by extreme interior heat. The driver remains responsible for safely operating the vehicle and avoiding collisions. 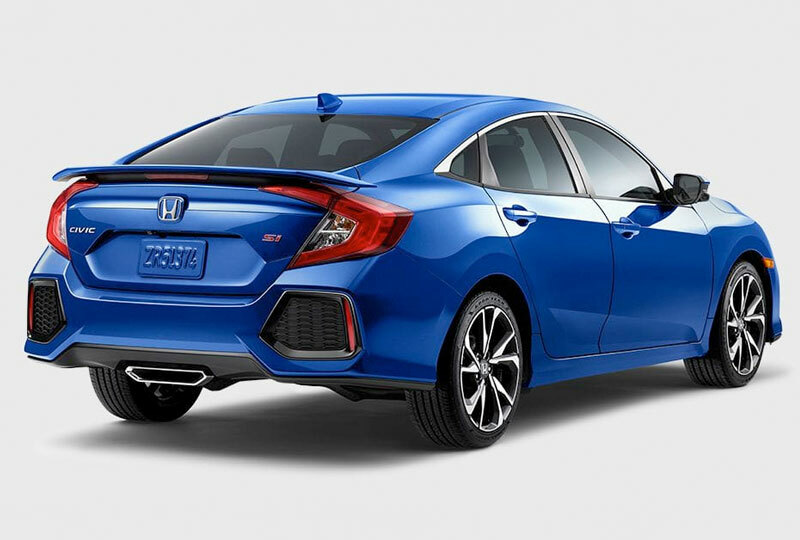 Featuring a turbocharged engine, a Rear Wing and a Center-Outlet Sport Exhaust System that's integrated into the Rear Diffuser, the 2018 Civic Si Sedan not only pushes the limits of performance, but of style as well. 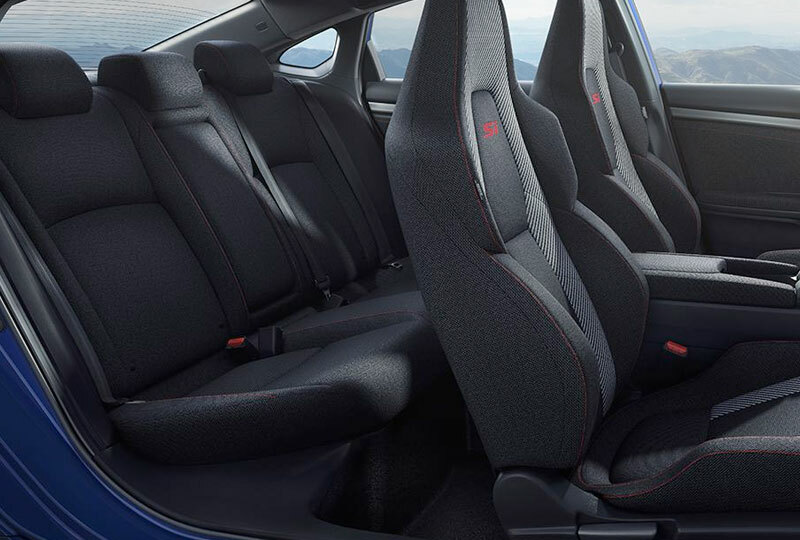 Confidence-inspiring, these bolstered front seats with red Si embroidery can help keep you secure on those winding mountain roads - and you'll look good doing it. The 205-horsepower* turbocharged engine coupled with an Adaptive Damper System offers exhilarating, precise performance on the track or the street. Honda Satellite-Linked Navigation SystemTM available on EX-L and standard on Touring.